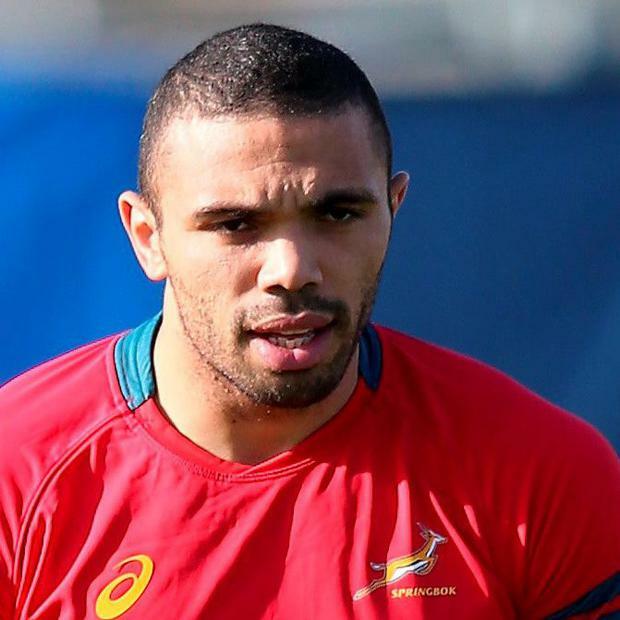 Former Springboks star Bryan Habana has labelled Ireland as the "front-runners" heading into the 2019 World Cup as he heaped praised on Joe Schmidt's team following an "insanely impressive" year. Ireland have risen to number two in the world following a stellar 2018 that saw them claim a Six Nations Grand Slam, a Test series win in Australia and an impressive victory over the All Blacks last month. While Ireland remain behind New Zealand in the rankings, expectations are building that 2019 will be the year the team finally breaks through the quarter-final glass ceiling in Japan. "I definitely think they have got to be favourites," Habana told Independent.ie. "New Zealand will always be the bookies' favourites given they are the current holders and they always perform well, but Ireland will definitely be the team to beat given how well they have played over the last 18 months. "They have blooded a lot of players and some of them have done really well. Jacob Stockdale on the wing, Garry Ringrose has been exceptional. Even with injuries to Conor Murray and Robbie Henshaw, there have been guys who stepped up. Joe Schmidt has widened that net and the guys who have come in have grabbed the opportunity." While the recent win over the All Blacks - a first achieved on home soil - generated a lot of attention, Habana points to two previous results as evidence that the team is now firmly among the world's elite. "They have been insanely impressive - and it wasn't just in the autumn," Habana said. "They won the Grand Slam, beating the England at Twickenham. Beating the All Blacks in Chicago was really impressive. Under Joe Schmidt, they have shown fantastic leadership but they have also shown some fantastic consistency. Joe Schmidt has got a lot of things right over the last five years in that set-up. "They are probably heading into 2019 as front-runners. That win against the All Blacks will make them believe that they can achieve some great things." One concern that accompanies Ireland into every World Cup is whether the pressure of having never reached a semi-final will negatively impact the team. However, Habana feels that this Irish team won't have a limit on their ambitions. "The target for them will definitely be to win the World Cup and it is probably the first time where Ireland can think of more than just competing in the World Cup, they can think of going on to think about possibly winning it," he said.